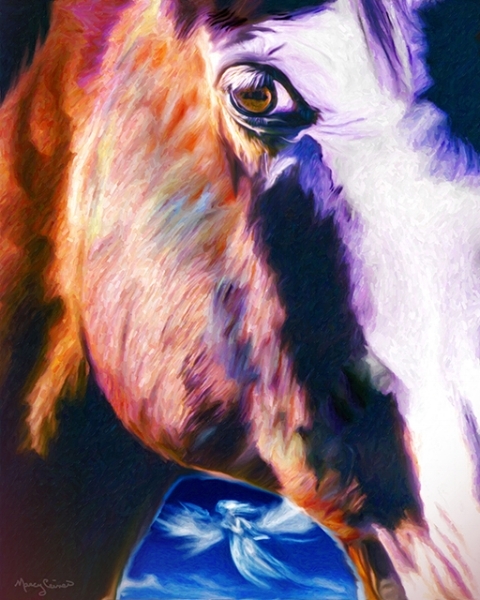 Horse Wisdom Card Deck is a 40 card deck featuring sacred horses offering a reminder of equine wisdom and intuition. ☆ 40 Cards with round corners on thick matt coated card stock. ☆ Horses of Us design on the front, Horses of Us artwork on back. ☆ Card Size: 3.5” x 5.75” (89x146mm) - Large with fabulous color. ☆ Fancy Fabric Drawstring Bag - A beautiful way to store your cards. 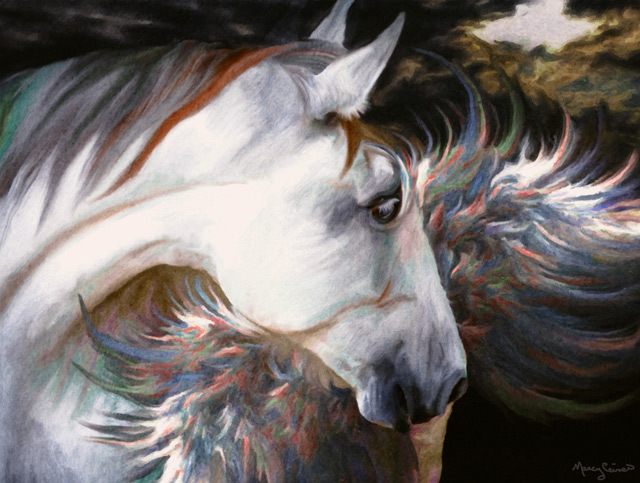 The Cards In This Deck Offer A Reminder Of Equine Wisdom And Intuition. 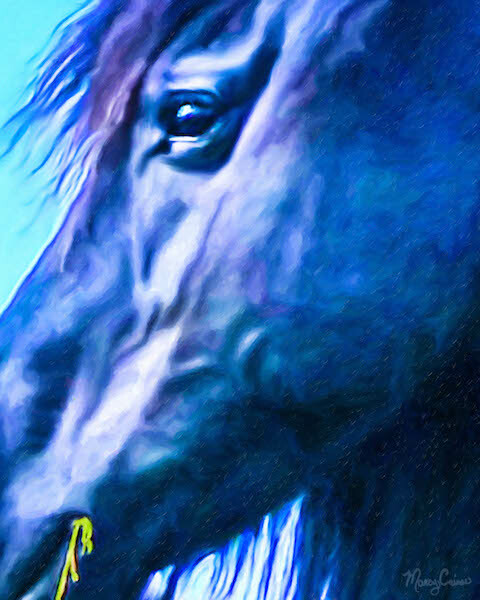 They are inspired by my lifetime with horses and the sacred teacher that lies within all horses. 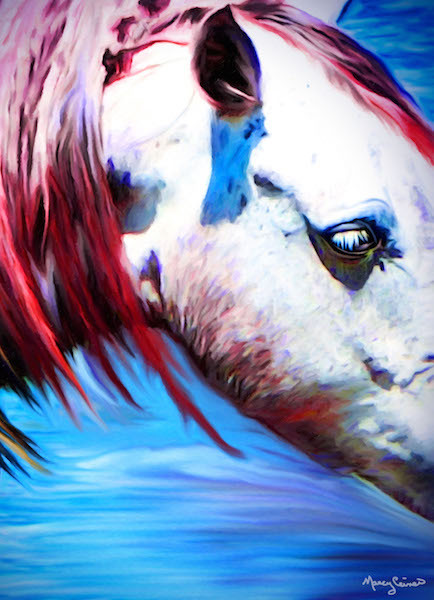 If we listen, horses gift us lessons from the natural world and messages from the universe. Each card has been intuitively channeled. 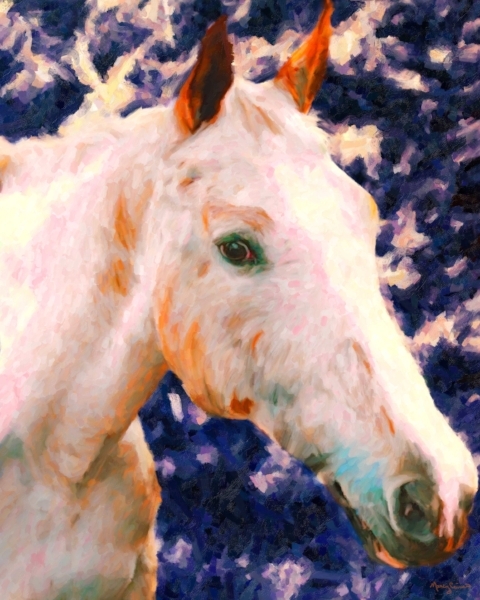 Before I create an artwork of any horse, I slow down and allow my mind to float in a place of receiving. I ask each horse if they have a message. 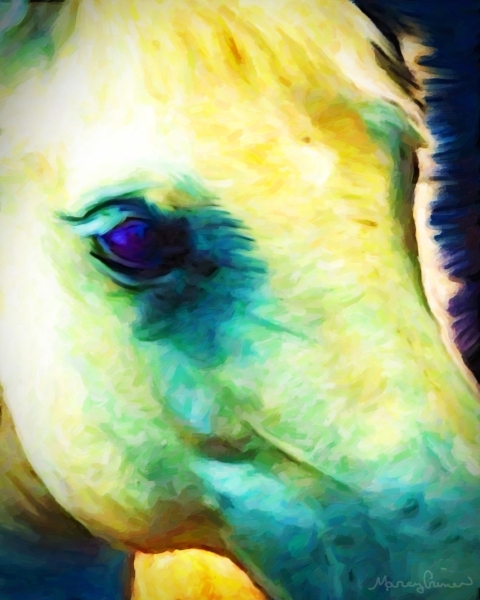 I feel a lightheaded sensation as a visual image of that horse appears and the messages start to form. 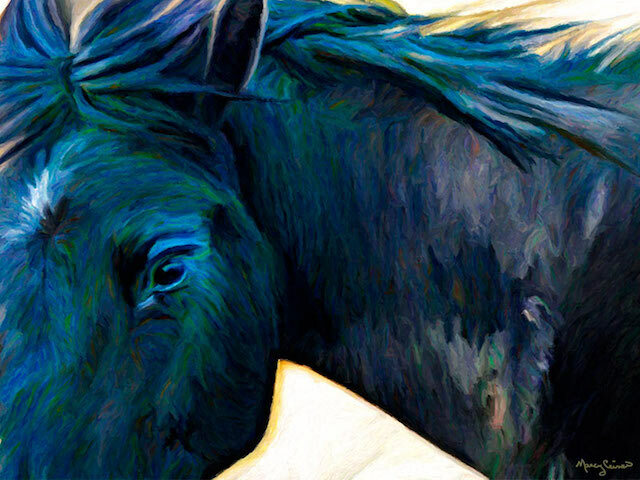 Each One Brings To Light An Aspect Of Horse Wisdom That Helps You Remember Who You Really Are And What You Are Here For. My intention in creating this deck is the discovery of new ways to further unlock parts of your spirit. 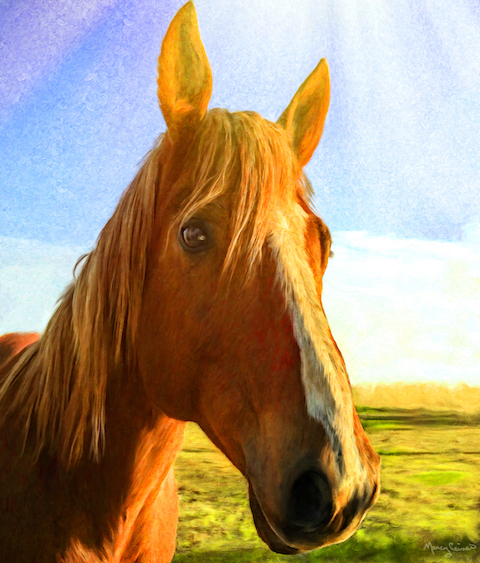 The horses allow you to receive guidance from them. All they ask is for you to be open to receiving their wisdom and to continually foster your connection to yourself. Use them for simple guidance by asking a question or leave it to the divine to offer what you need. You can also create a spread for more depth in your reading. “Oh WOW Marcy, I can see his soul! When I first met him he had that deep longing for a soul mate and someone to share all his thoughts, wisdom and knowledge with. I am blessed that he chose me. Thank you so much for capturing him! “You captured the softness in his eye…the pure kindness that drew me to him. I cannot express how “wowed” I am. I cried because its so beautiful and its him…my Magnum, my underdog, my best friend. “I LOVE the portrait of River. “You captured what I love the most about him behind and in his eyes! “Each time I have had a moment to look, I fall deeper and deeper in love. I am a “pink girl” through and through – so I love this undertone to the blue. I am also a huge fan of cobalt blue. Really I love all the colors I find as I look closer and closer. . .And his eye. You capture it perfectly – the worry lines he often has above and yet at the same time the “wise soul” look. “The painting and the pendant came today. I love them both. 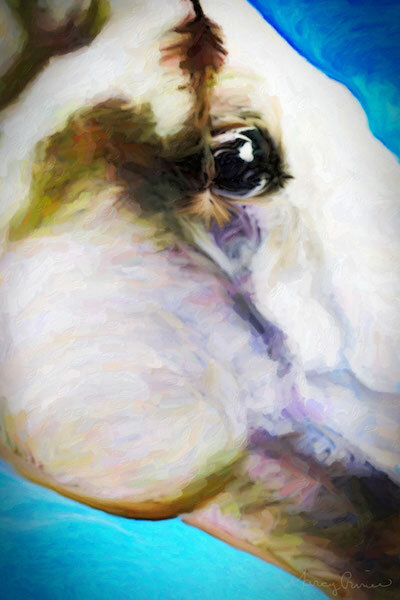 I have been at a total loss of how to even begin thanking you for the most amazing piece of artwork I’ve ever seen! Every time I try expressing how much this means to me, I end up crying and I’m pretty sure Mike has had enough of my squealing, tears, and bear hugs! I’m not sure if you know, but I am currently recovering from a stroke I had 2 months ago. I am unable to work OR RIDE!!! This picture has renewed my spirit and soul- and that is something I can never put into words. Foxy means the world to me and you were able to capture her perfectly. My big, bold mare, who is always willing to share a hug. You were able to convey what I see in her eyes every day- the sweetest spirit who has been a rock for me since I first laid eyes on her and wrapped my arms around her neck.